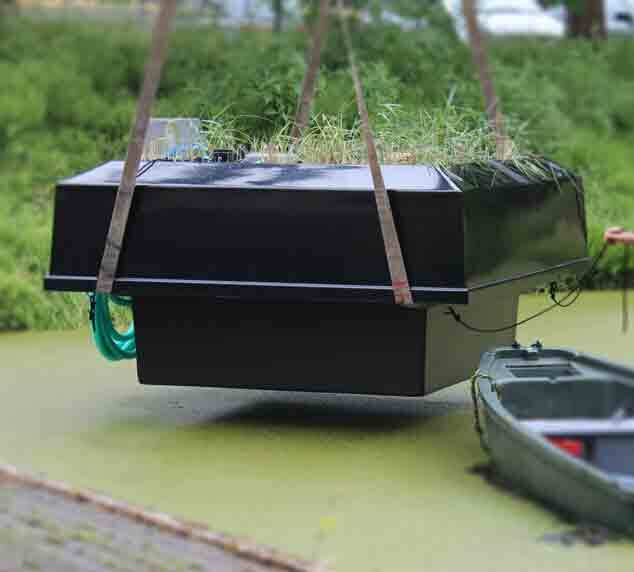 Our floating helophyte filters are designed specifically for the recovery of degraded ecosystems, polluted ponds, swimmingponds or other locations where there is a decentral need of purifying. The floating vertical helophyte filters, are better equipped than the name can ever suspect. Partical rich water, first flows through a well designed Lamellae filter. Removing very efficiently high fostate and nitrogen concentrations in the water with a new Cartridge sytem. Removing algae and germs and increasing the oxygen concentration in the effluent water. The floating helophyte filter plus operates with low energy requirements. 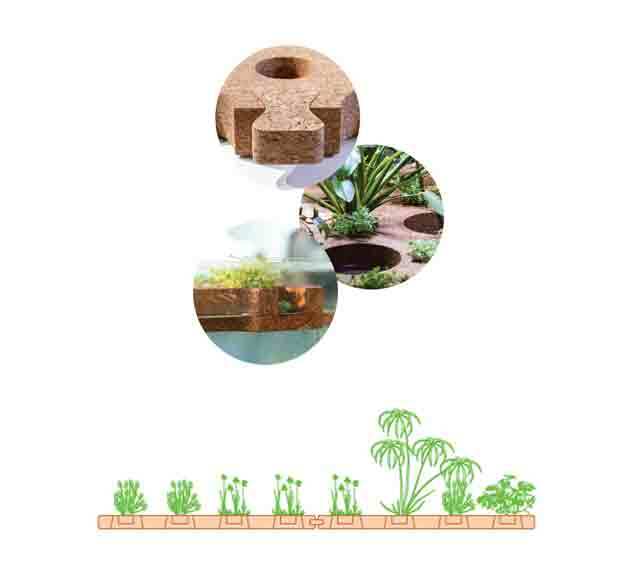 The floating islands are modular cork platforms designed specifically for the recovery of degraded ecosystems, the treatment of wastewater, aquatic gardening, among other possible uses. Floating island are the most ecological solution to ensure a healthy balance of suface water, allowing the growth of plants on the surface of the water and thus restore riparian and palustrine ecosystems and biodiversity itself. Having a floating kitchen garden next to your houseboat is simply fantastic. Thank you for being interested! You can always call us or send a message, with every possible question. We are happy to help you.